Colin Carter took this photo whilst 'travelling from Kew ( Jack Holts boat yard) home for lunch'. St George's church on the right is preceded by the gas works' offices. Bus buffs will notice the bus is a no. 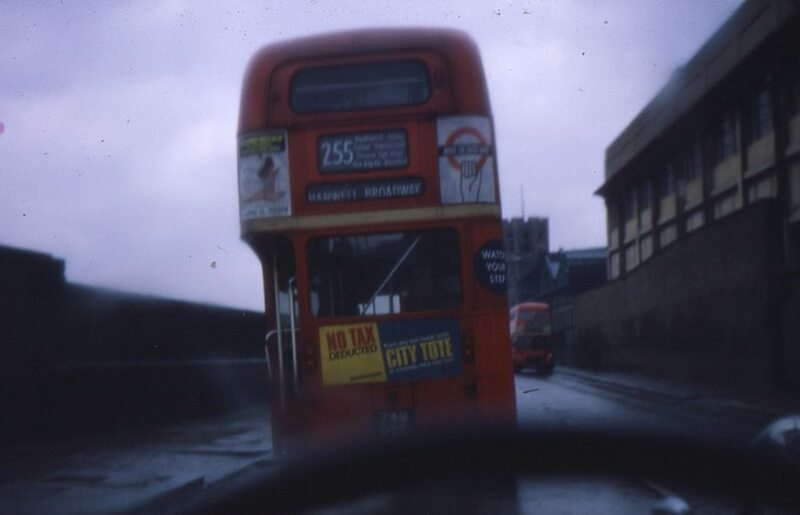 255, destination board Hanwell Broadway. The website London Bus Routes 1950-2015 has more information, including a map showing the route.